A Joint Implementation Committee meeting was held this week to oversee the education powers and functions transfer from the education department to the Autonomous Bougainville Government. Whilst commending his current and former department staff, AGB and Australian Department of Foreign Affairs and Trade for their contributions in the functions transfer, he also expressed concern that the two day meeting is the first after two years and attributed the lack of meetings and consultations to funding and leadership challenges. However, he was pleased that the reports he received from were promising and that work on the transfer of powers and functions was continuing. He noted that while there are some powers and functions be transferred there are some that remain to be transferred due to lack of capacity in the ABG education system to absorb and implement successfully. The powers and functions that remain to be transferred are to do with Inspections, Curriculum and Examinations. Dr Kombra pledged the department’s support to the ABG Department of Education and called on both entities to maintain regular communication. “We need to be mindful of some national government policies being implemented by the department. One of them is the Tuition Fee Free Policy. The intent of this Policy is to ensure that every child attends school and remove the burden of school fees from parents. The Secretary also mentioned the need for the committee to establish a joint monitoring group to review and monitor the implementation of the powers and functions that have been transferred and the ones that remain. The Bougainville education department registration policy, enrolment policy, regulation of pre-schools in Bougainville, transfer of remaining TSC powers and functions to Bougainville, and status of the Bougainville Technical College under the Bougainville Act 2013 and the PNG Education Act were discussed at the two day meeting. 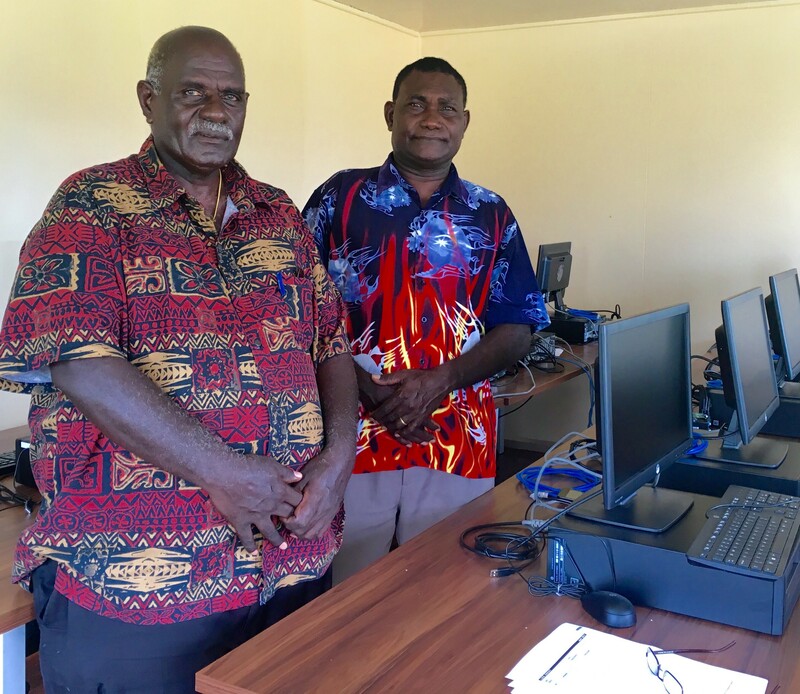 Meanwhile, the newly appointed Secretary for Bougainville Education Department Dr Justin Kehatsin said that his department is working together with the Bougainville Education Minister in implementing the transferred powers and functions. 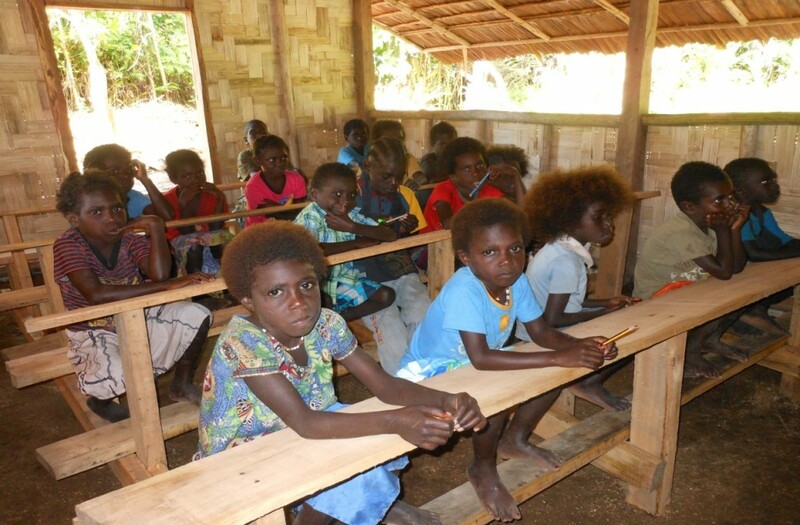 One of the challenges Dr Kehatsin mentioned is the mushrooming of early childhood centres in Bougainville. He added that a standard curriculum is needed that will work well for both Bougainville and PNG. He reaffirmed Bougainville’s commitment to ensuring the transfers. Bougainville Mining News : Historic decision to accept applications for exploration licenses in mining on Bougainville. ” The ABG has pledged to push for the interests of the landowners in any resource development exercise that it partakes in on Bougainville. 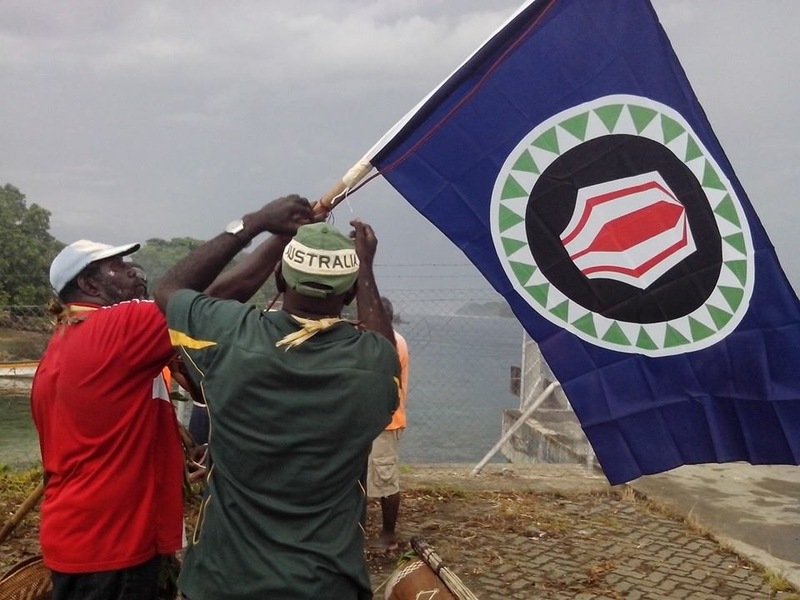 ABG President Chief Dr John Momis made the rousing statement to the landowners of the Isina, Jaba and Tore areas where the ABG has lifted the moratorium on mining exploration. This follows the partial lifting of the Mining and Exploration Moratorium on Bougainville that allows the ABG to grant licenses to would be investors interested in developing the mining sector on Bougainville. 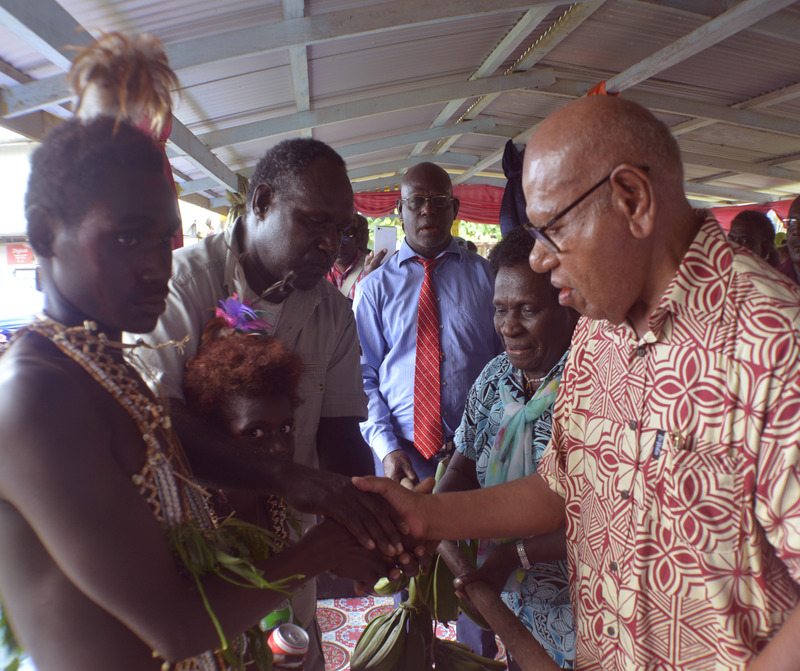 A proud ABG President Chief Dr John Momis said the event marks an historical occasion and one that marks the beginning and resetting of relations between the people of Bougainville and the mining sector. “As we move towards the Independence Referendum in 2019 and continue our journey towards full autonomy and reconciliation, it is timely to reflect on the work that has been done and the progress that has been made,” Momis said. “Under the Agreement Bougainville must actively work towards achieving financial self-reliance. 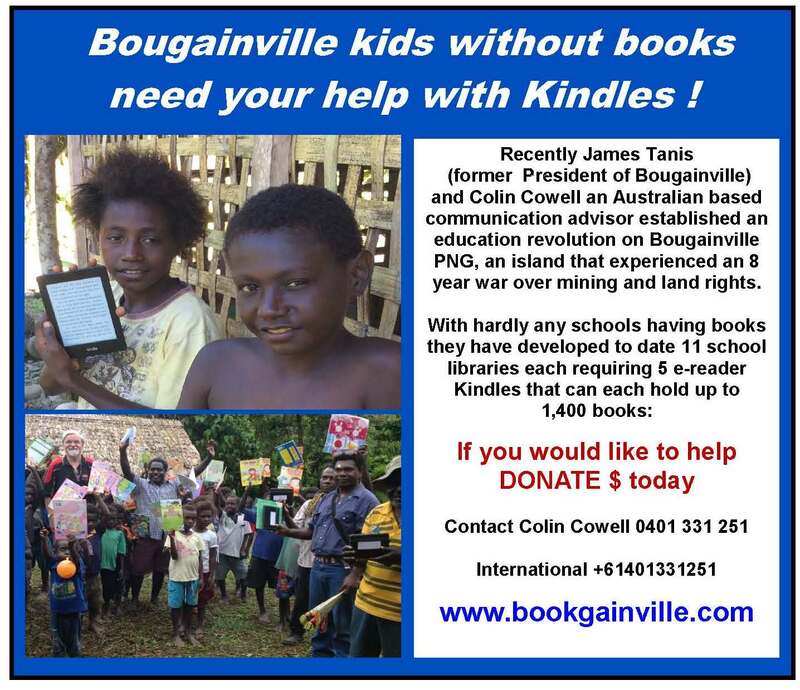 What that means is that we must find ways to generate revenue and income so that we can meet the needs of all Bougainvilleans in the future,” Momis said. Momis added that mining and exploration is just one way that we can do this. “But let me be clear, the announcement on 28 April 2017 is not about revisiting the past. It is not about going back to doing things the old way which caused conflict and concern, it is about putting in place a cautious and sustainable process that allows Bougainville to embark on a new journey of partnership – a journey where landowners, the Government and mining and exploration companies work together to ensure that the interests of Bougainville are always at the forefront of any decisions on whether to embark upon new mining projects, or rehabilitate existing mining sites,” Momis said. The decision to lift the moratorium allows the Government to become more involved in these activities through regulation and the promotion of environmental protection and safety, ensuring that mining activities are undertaken responsibly and in accordance with the law. For the Government’s part, the ABG’s Department of Mineral and Energy Resources is ready to take this work forward. This will be a whole-of-government process involving many departments, including Lands, Physical Planning and the Environment, Economic Development, Justice, Personnel Management and Administration and President and BEC. In making the decision to partially lift the moratorium, the Bougainville Executive Council has carefully considered the implications of development, the capacity of government to manage exploration applications and the needs of our people. The strategic lifting of the moratorium in Tore, Isina and Jaba will play a critical part in enhancing Bougainville’s economic future, without losing sight of the need for environmental protection and monitoring systems to regulate exploration activities. “I believe in you and I have faith that all Bougainvilleans want to move forward in prosperity where sustainable economic development helps everyone and allows us to achieve our self-determination goals,” Momis said. The ABG has pledged to push for the interests of the landowners in any resource development exercise that it partakes in on Bougainville. “If we are to re-establish mining operations, it must be a cooperative approach, consultation must occur and your rights must be at the forefront of all considerations. This is my view and this is my belief, and as your president I will always put your interests first,” Momis said. President Momis made a call upon each of the landowner groups to play an active role in this process and to use the negotiation and consultation mechanisms available to them. “If you have concerns then these must be addressed peacefully and lawfully, lest Bougainville make the same mistakes of the past,” Momis said. “I believe in you and I have faith that all Bougainvilleans want to move forward in prosperity where sustainable economic development helps everyone and allows us to achieve our self-determination goals,” he added. The moratorium does not cover the controversial Panguna Mine but the ABG and the National Government have publicly committed to working with Bougainville Copper Limited to restart mining operations after Bougainville gained a majority stake in the now defunct mine. This will also occur in a manner that is consultative and takes into account the wishes of the respective landowners groups. And while the Government has indicated broad support for the work of BCL, this is on the basis that under law they have the first right to re-develop the mine. “Let me be clear, I will be watching this process very closely to ensure that BCL honour their obligations, adhere to our laws and not repeat the mistakes of the past,” Momis stressed. The President in his discussions with BCL has received their strong a commitment that the company intends to learn from the lessons of the past and work with landowner groups to ensure your needs and wants are addressed. “To achieve this, the Prime Minister and I have agreed to establish a steering committee to guide future operations at Panguna,” Momis said. “This committee will have an independent chair and include representatives from landowner groups, governments, regulatory agencies, NGOs and BCL,” he added. The announcement for the partial lifting of the moratorium is a cautious approach. As President I want to move forward carefully. I do not want to see whole-sale mining across Bougainville. On Friday, the former Bougainville Revolutionary Army (BRA), Me’ekamui Government of Unity (MGU), Twin Kingdom Factions and the Me’ekamui Defence Force (MDF) signed an understanding to work together to pursue peace leading to the Bougainville referendum in 2019. Picture above : Former BRA factions members (ex-combatants), womens reps and ABG representatives standing together to show their unification in working towards a peaceful process to referendum. 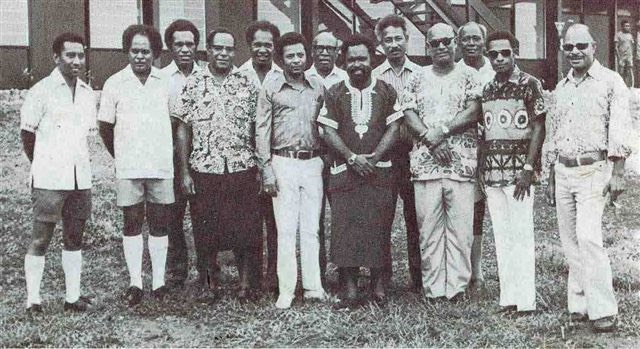 The factions met for four (4) days at the Goro Homes Village Resort in Arawa to recall the events that took place in Roreinang from the 25th – 27th of September 1997, which triggered the split in the BRA to different factions. Split between BRA Company Commanders and ‘A’ Company. 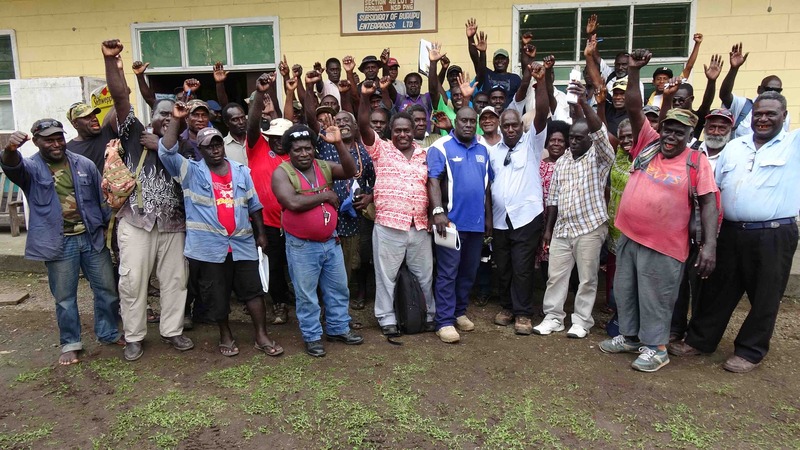 The ex-combatants present at the meeting acknowledged their split and recognised the limited time they had available leading towards the appointed date of Bougainville’s referendum on June 15th 2019, thus making it their top priority to work together. 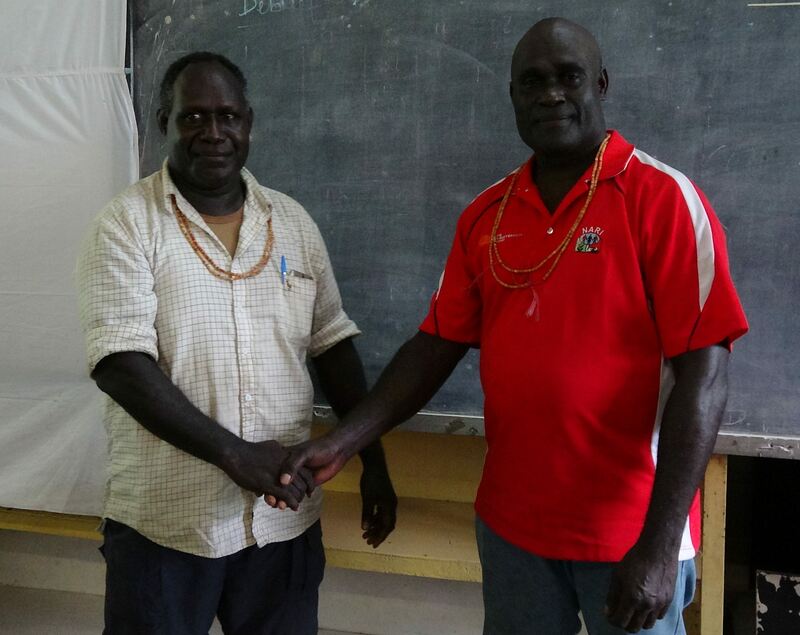 Picture above : Former BRA General, Sam Kauona (L) and former BRA ‘A’ Company Commander MDF General, Moses Pipiro shaking hands after signing the understanding to work together towards referendum. The signed understanding was to reaffirm their commitment to pursue peace by all means and make aware the importance of the unification process. It was also a commitment to continue to the best of their ability to resolve the issues that arose from the ‘Roreinang Coup’ and further commit themselves to work in partnership with the Autonomous Bougainville Government (ABG) and the Bougainville Peace Building Program (BPBP) in moving the process leading to the Referendum and beyond. The parties agreed that between May 15th – 17th, 2017, they will reconcile their differences through major reconciliation ceremonies to be held at Roreinang, Panguna and Arawa. The understanding was signed by Philip Miriori – Former Secretary, Supreme National Council (SNC), Ishmael Toroama – Former BRA Chief of Defence, Gunther Using – Twin Kingdom, Sam Kauona – Former General, BRA, Moses Pipiro – Former BRA ‘A’ Company Commander, MDF General, Co-Chairman, Roreinang Coup Committee, and David Sisito – Former BIG Defence Minister and was witnessed by Honourable Thomas Tari – Member House of Representatives (MHR), Veterans Member for South Bougainville, Honourable Noah Doko – MHR, Veterans Member for Central Bougainville, Honourable Ben Malatan – MHR, Veterans Member for North Bougainville, Honourable Albert Punghau, MHR, Minister for Bougainville Peace Agreement Implementation and James Tanis – Secretary Department of Bougainville Peace Agreement implementation. L-R: Julius Chan, John Poe, Iambakey Okuk, Maori Kiki, Ebia Olewale, Gavera Rea, Kaibelt Diria, Michael Somare, Dr Ruben Taureka, John Guise, Paul Lapun, Boyamo Sali, Thomas Kavali. ” This is a short tribute, appreciation and acknowledgment of the early political leaders I met and around whom my career serving elected leaders grew. I am privileged to have served, and served with, these pioneering pre- and post-Independence leaders. It is an honour I shall always treasure. In this photograph, the pose and demeanour of these Ministers – the Cabinet – accurately shows them thinking seriously, thoughtfully, in some cases may be even curiously, about the looming question of independence. It is election season. It is a very short, abrupt season which comes only once every five years. We are in the thick of it now. All over the country people are struck by election fever. Excitement and malaise are everywhere. Despite shortcomings and inequities that come with all election, the value and benefit of elections are obvious. They are a tried, tested and proven method for selecting political representatives – rooted in ancient Greek system and derived from the word demos for people, thus, democracy. The rulers are elected by the ruled – government by the people, for the people, of the people – and accountable to the people through regular elections. Alternatives to democracy autocracy, theocracy, demagoguery, plutocracy, dictatorship and military junta, anarchy and the brand of latter day religious fanaticism that is wreaking violence and in certain parts of the world. PNG has, since its early polls, delivered democratic elections for which we can all hold our heads high. The earliest election I can remember was the House of Assembly election in 1964. I was doing my last year in primary school in Kangu, south Bougainville. The next election was the House of Assembly election in 1968. I was doing my last year in high school in Malabunga, ENBP. The following year I applied, was successful and commenced a job in the pre-independence House of Assembly as a simultaneous trainee interpreter/translator. I remember much about these pioneer political leaders largely because the career I chose as a teenager just out of high school grew and evolved around serving political leaders. Looking back it was a time and youth well spent with a rewarding graduation from the university of life whose only curricula was duty of service. The Chief, the one that was always quick to grab the baton and run from the front, was Michael Thomas Somare. Of this group he was one of the first into the House and the last to bow out of Parliament – retiring recently on the eve of 2017 Parliament elections. Sir Michael has had the longest un-dismissed innings at the crease and the most party political victories at the polls. The tribute paid to Sir Michael and Chief and Father of the nation by Members on the day of the final meeting of the Tenth Parliament was well deserved and most fitting. After this year’s election Sir Julius might be the only one of this group in Parliament if he is returned for the Tenth Parliament. I was delighted to meet Dr Reuben Taureka again after more than 45 years at a private traditional closure reception to end the mourning period of one of his son-in-laws whom I knew and worked with at the Ombudsman Commission. Reuben was still in good shape and form. It was a brief and happy occasion for us to reminisce about those early pioneering years. Those years were a fulfilling and rewarding part of history to which I will always look back. The time and rubbing shoulders with these pioneers guided my later choices as I have considered how I might be able to still contribute as time goes on. It is no fluke, accident or coincidence I am serving as Speaker of the Bougainville House of Representatives today. I thank God, He has been kind and caring. I also thank these political pioneers whom I’m blessed to have served and observed as they gave their all, selflessly and unpretentiously to this country. The country has been kind, the opportunities and choices have been plentiful, the opportunities and decision moments lived and exercised, have been truly remarkable. No matter how close, how far and in what direction I look, this country cannot avoid or miss the souls and spirits of these men. The sum total of their collective political efforts, their contribution and dedicated service to this country is beyond measure. And yet it is also their individual efforts, that often come to the fore. How could so many genuine leaders have emerged in the same era? I can only explain it thus: that PNG came of age because the excitement, the challenges and doubts about self determination prompted and nudged these men to mature beyond their age to face up to the uncharted waters and unknown future to nationhood. I will always remember them well. ” When I was appointed Speaker by the House in June 2015 I said my first priority would be to provide our Members with the necessary assistance, proper services and facilities to enable them to perform their duties and responsibilities to serve their constituencies better. We are on track to meet this undertaking. I’m extremely pleased with the progress we have made in the last 19 months. While funding is limited, there is no limit to the ideas and ways and means we can pursue improvements for our elected representatives. Pictured above with the Clerk of the House inspecting Members’ new computer room and work station. 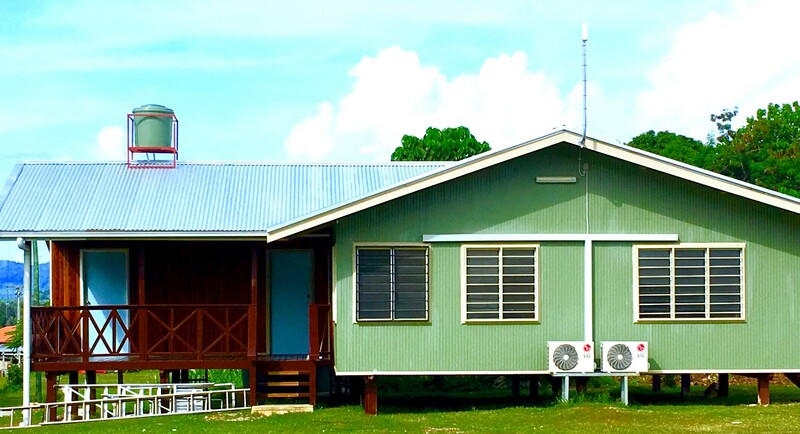 The Bougainville House of Representatives will commission a new Members’ Resources Centre adjacent to the Parliament House at Kubu. The Centre will have ten work stations with desktops and Internet access for to Members to use. For some Members the facility will further their skills in computer use, access information, respond to queries and for research. The Centre will also have a Conference room, providing additional space for parliamentary committees. Meanwhile, four haus wins that were built in 2015 have now also been fitted with lights and Internet access for members to use. These addition of the haus wins in 2015 and now the Research Centre in Parliament precinct are welcome but they are temporary reprieves for our parliamentarians who have been left to fend for themselves without even basic office accommodation since the inauguration of the Autonomous Region of Bougainville House of Representatives in June 2015. As former Chief Ombudsman it gives me particular pleasure to witness the Ombudsman Commission having now established an office in the Autonomous Region of Bougainville. I urge the Commission to exercise its jurisdiction with responsibilityb to promote good governance in the Region. As Speaker I have been very keen to establish close contacts, consultations and meaningful partnership with the National Parliament. We will continue to vigorously pursue this following the elections and into the future. The fruitful contact has included discussions at the level of Speakers and Clerks and some exchange visits between our parliamentary committees. The UNDP Peace Building Fund has been a welcome facility in our legislative institutional strengthening efforts at Parliament House during the last 15 months. It is important that we promote the role of Parliament and give representative democracy a practical meaning for everyone. To this end I am keen to see a better coordinated approach for better outcomes to strengthen the role of the Parliament with our traditional aid donors and partners in this part of the world.